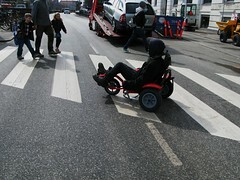 ... life goes on in Copenhagen. 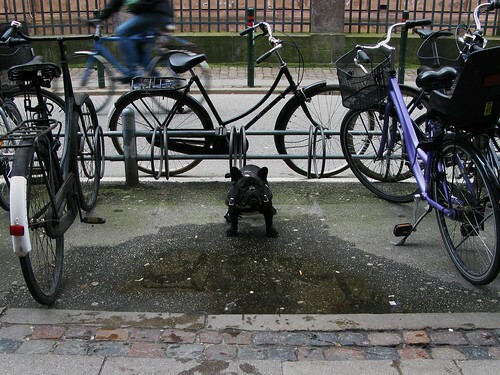 Given the difficulties of finding a parking space in the bike racks in Copenhagen, some people have begun to use drastic measures to guard the prime spaces. I suppose anyday is a good day to buy a breadbox, but for this Copenhagener, it was today. 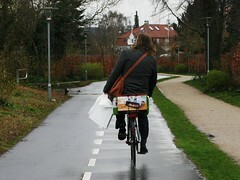 And what better way to transport it home than by bike. Strange cycleness in the city centre. 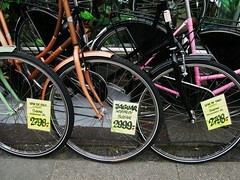 This is what you'll see outside of basically every bike shop in the nation.